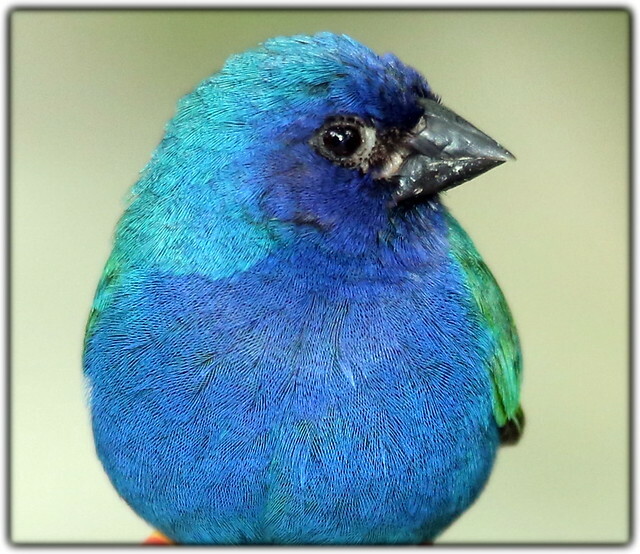 I love to take pictures of birds and I love to relax at one of the local area wildlife attractions, Butterfly World, in Coral Springs, Florida, about 2 miles from home. This past weekend, as with many other weekends, I visited Butterfly World to relax and enjoy a beautiful afternoon in the cooling Florida weather. I came away with some pretty amazing bird shots. Even though I have spent a lot of time at this attraction and have taken thousands of pictures over the years I believe that this particular 2 hour visit gave me the most spectacular shots I’ve come away with in one day. I figured I would share a few on the blog so here goes…. 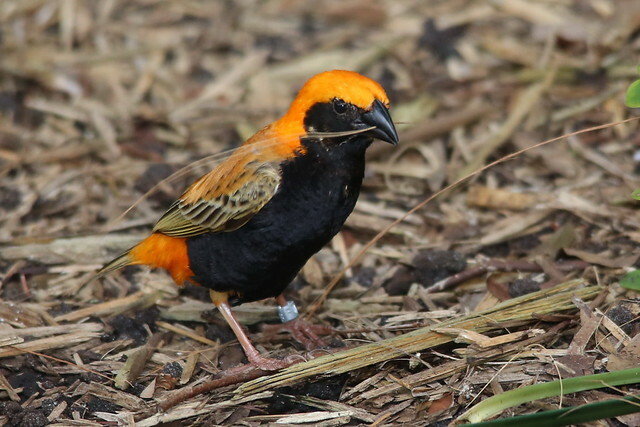 This first shot is of a Zanzibar Bishop Weaver, a beautiful bird that is usually reclusive and hidden deep in the thickets of the avian encounter area. This week he was showing off big time for me. It must be his breeding season, along with other species, because I found him right our in front, all puffed up and strutting his stuff. His bright orange head and back was spectacular. His black belly was even more outstanding. 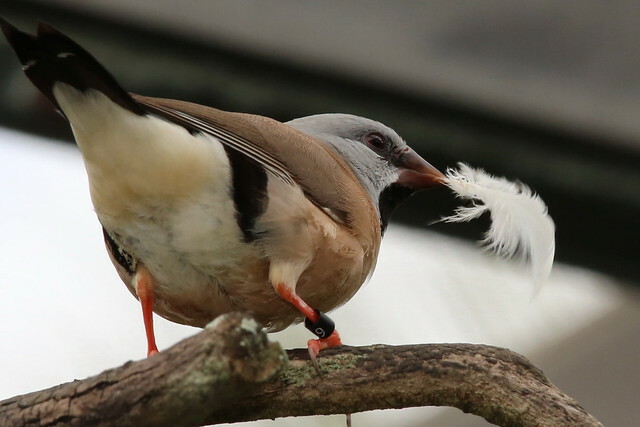 His feathers were so wide-spread that you could see his skin. And he was singing as loud as he could. He is a master of color and sound. 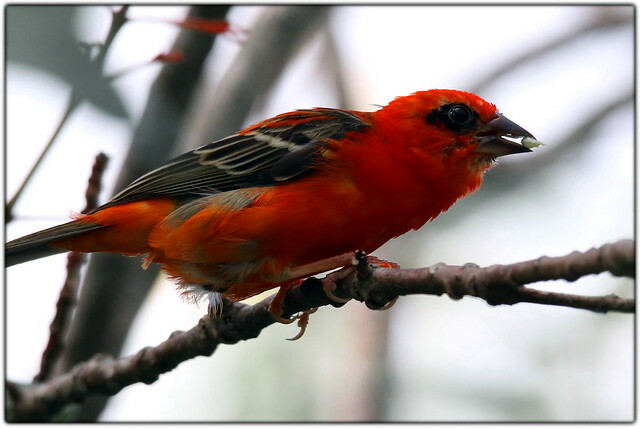 Below is a shot of the Bishop Weaver as he gathers twigs for his nest. 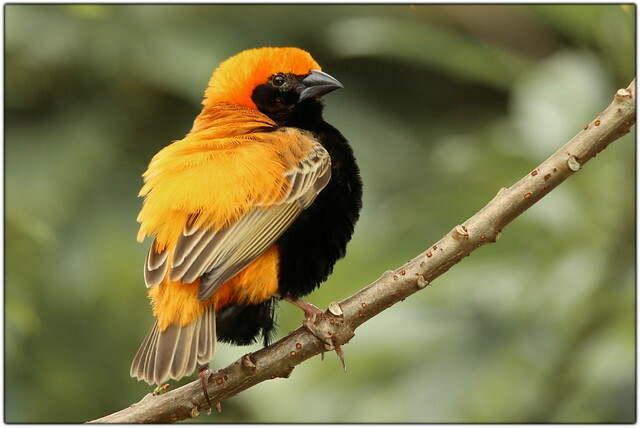 I never saw where he deposited them, nor did I see a female Bishop Weaver. These next two shots are simply beautiful. I don’t know the name of this bird yet but I’ll find it eventually. 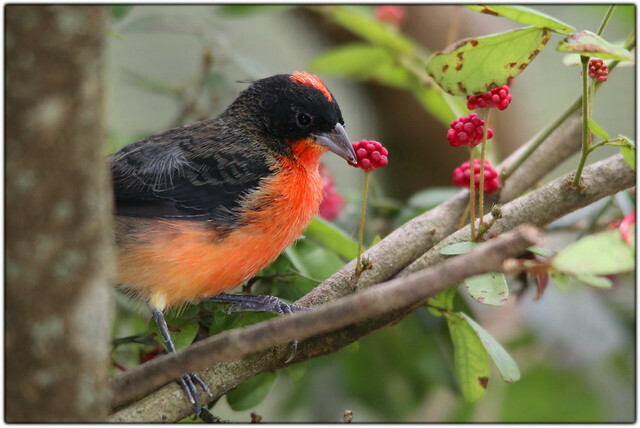 His colors are so striking, especially against the backdrop of the berries and leaves. The second shot offers a different view into his personality. Next is a Shaftail Finch as he sits in the tree watching visitors to his home. 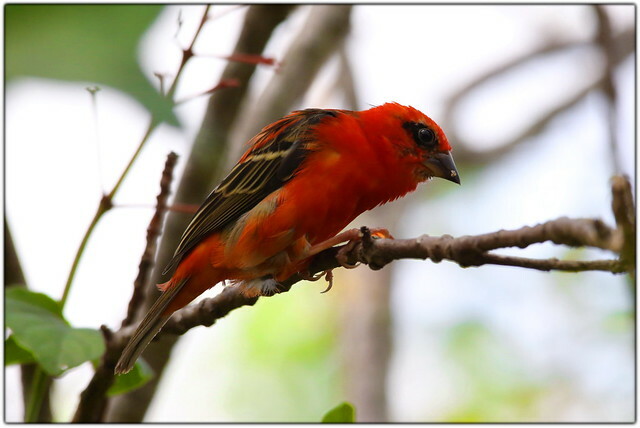 These finches are friendly and will unexpectedly fly right past your ear at full speed. Sometimes a pair will jet past you, one on the left and another on the right. it’s startling to some visitors. I believe they do it for fun. You can really tell it’s just about mating season, some of the birds are in full swing gathering material for the annual nest-building season. 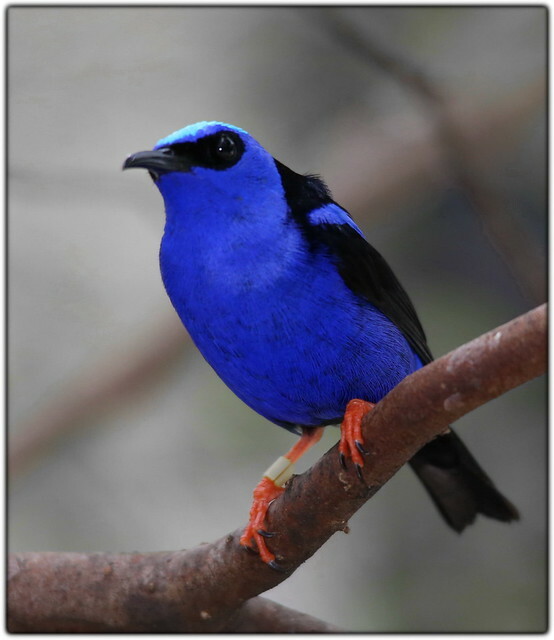 The color of the Red Legged Honeycreeper is so majestically deep, almost indigo yet still blue. This guy seems part hummingbird part Finch. This is one of my favorite Hummingbirds. He’s so small, like an overgrown mosquito with the personality of a big bird. 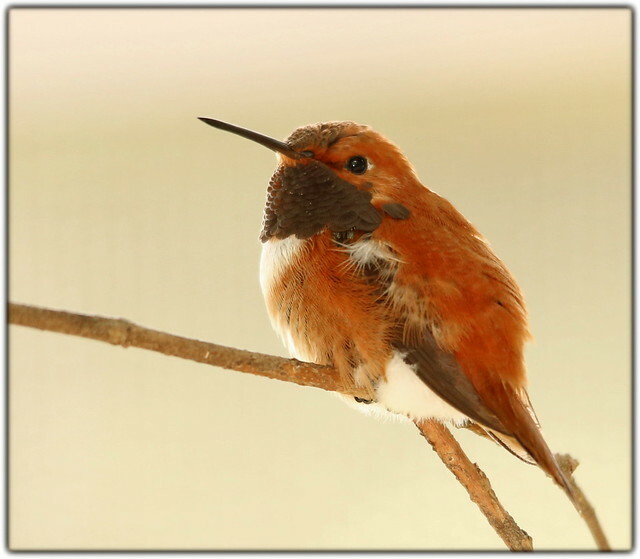 This Rufous “Hummer” has so much personality. I could sit and watch him for hours. Oh, I have watched him for hours! The Purple Grenadier below is a wild combination of colors and textures. His belly is bright blue and brown, his face is brown with blue eye patches. His orange beak is no less than the stunning highlight of his face. The reddish eyes with the bright red rings really makes this bird’s face a colorful work of art. Next is the Madagascar Red Fodie. Like so many birds around the world this beautiful creature is regarded as a pest to agriculture in their native habitat. I promised I would not “go off” on things like that in my blog but I certainly could offer an ear full about now on that subject. I’ll leave it to the beauty of these birds for now since I don’t live in Madagascar. 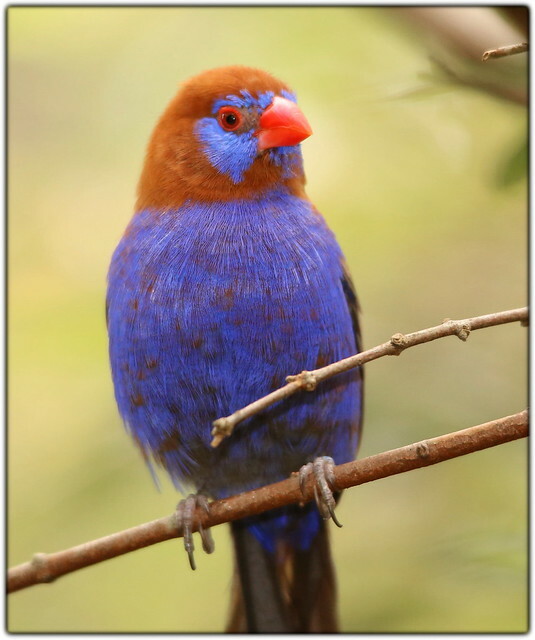 Finally I’m going to finish with several pictures of the Forbes Parrot Finch a beautiful small bird with almost glowing feathers of blue, green and red. 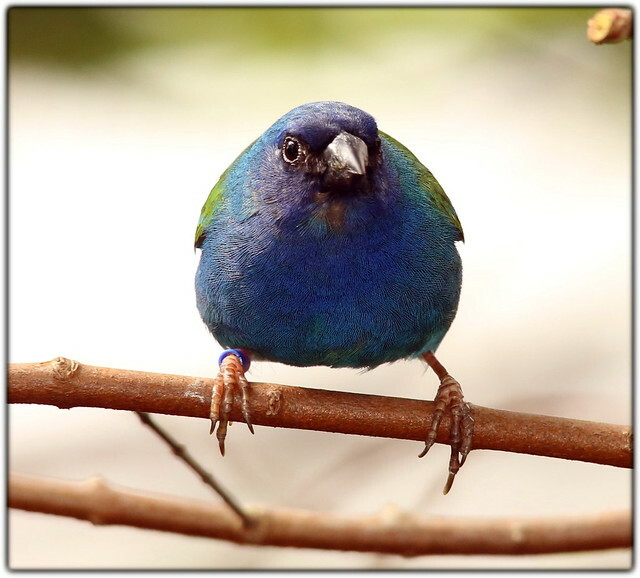 These little birds are plentiful in the aviary and it’s a real treat to be able to watch and photograph them. 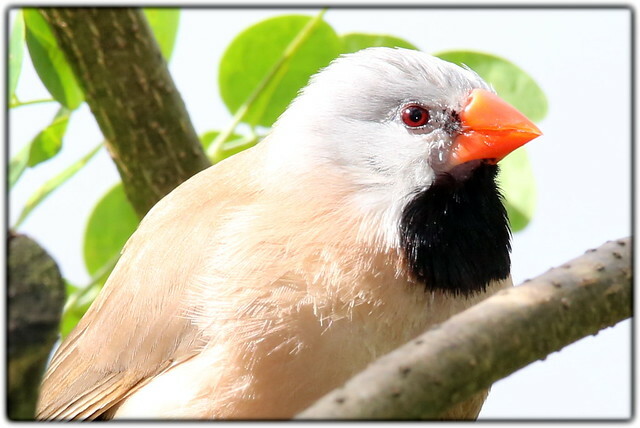 These little birds have so much personality, you can see it in their eyes. You can almost see them thinking as they live a really good life in Butterfly World. If I take the time and sit near their play area in their aviary it does not take long for one to fly up to a high location to watch me. I don’t know if it’s the camera’s noise, the flash, or just someone being patient enough for them to feel comfortable with but they like to come pretty close and watch me when I’m the only one in the aviary and all is quiet. Being patient and quiet is often rewarded with a flyby or a great vantage for pictures like these. 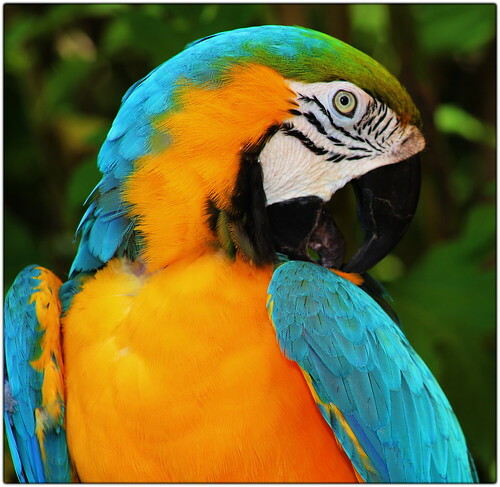 And finally the Macaw. Over the years they have exhibited several different Macaws in the Macaw area and I’ve been able to take some fantastic pictures but this Blue and Gold Macaw seemed like he was posing just for me so I had to take a couple more shots. Over the years Parrots have been my most photographed bird until the past three years. In January of 2010 my Quaker Parrot companion of 16 years died leaving me without a primary photo subject so I had to turn my avian photographic habit outward to new species and locations. 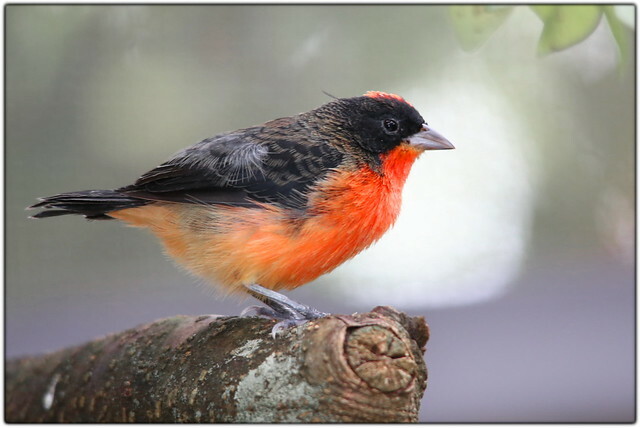 Since my home area of South Florida is absolutely full of wonderful birds to photograph and great places to explore my wife, Jo, and I explore almost every weekend. This blog is one way to share all the pictures I take. I hope you enjoy them as much as I enjoy capturing them. If you like the blog please share it with others. Also please comment. I appreciate hearing from you either about the photography or even content. Lovely photos–always enjoy your site and commentary. Thank you for sharing. 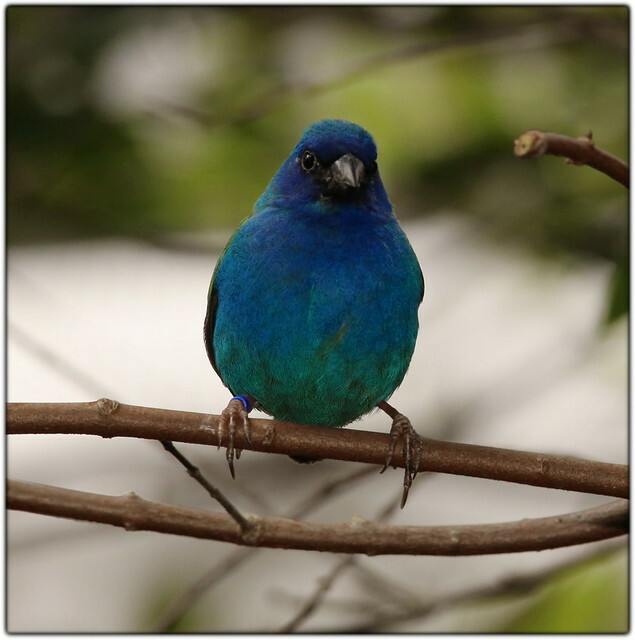 Thank you so much for such beautiful pictures and describing the birds. What fun you much have taking these pictures. So sorry about your Quaker. Beautiful photos of beautiful birds. Thank you!